The media should drive national discourse on demographic dividends. Coordinator, AMDF Sekyen Dadik addressing the conference, while others L-R Prof Pate Of the Bayero Univ. Kano, Perm Sec, Kad State MOH Dr Shehu Makarfi and Mr. Bolaji Adepegba of DevComs at the event. 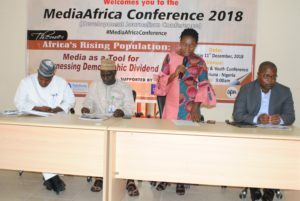 Participants at an annual conference on a theme ” Africa’s Rising Population: Media as a Tool for Harnessing Demographic Divident have said that population growth can be an asset if properly managed. The assertion is contained in a communique issued at the end of the 2018 Africa Media Development Foundation, Media Africa Conference held in Kaduna -Nigeria, on Tuesday December 11th. The participants were convinced that an increasing population increases demand for goods and services which in turn could lead to prosperity and faster industrialization. Understanding the dynamics and structure of population, the communique said, is important in national planning and development; as it will help in expanding opportunities and resources to take care of rising population. Other recommendations by the conference are that, a nation can appropriately tap its human resources by equipping the population with education and creative skills for faster societal growth and development. “Government should ensure that population correspond with available resources, by allowing a population that could be cared for, which could be achieved with effective family planning. “Government should lower the present dependency ratio, increase labor, human capital, productivity and savings. “The media should drive national discourse on demographic dividends and highlight critical issues that will spur relevant stakeholders to action. “Media organisations and journalists should key in to development journalism which lay emphasis on reporting issues that contribute to the improvement of the quality of human lives. “The media should stimulate interest in the general public on population dynamics; promote public ownership of population issues; and support communities to address such issues. “Media practitioners should key in the Sustainable Development Goals enunciated by the United Nations, thereby strengthening commitment by engaging policy makers on issues relating to population dynamics. “Journalists should collaborate with Civil Society Organisations who have a vast trove of information and resources that journalists need to generate stories that will make impact. “Journalists should shift attention from government-centered stories to people-centered stories and always call for action with a view to improve governance. “Journalists should write stories within the ethical boundaries of the profession with the larger picture in mind, particularly on what benefits societies and the people, and not individuals. “Journalists should key into online media which provide multimedia platforms and enable the integration of social media platforms in reporting development issues which assures of wider coverage. “Africa’s rising population has dominated the region’s development conversations. Nigeria being the most populous country in the region and 7 in the world is projected to have the third largest population in the world by 2050. Despite the country’s population growth, Nigeria has continued to lag on development indicators. This raises the question as to whether Nigeria’s current and future population composition is a benefit or a burden. “The conference highlighted the place of media in contributing to the demographic discourse. This is because the role of the media is key in harnessing Nigeria’s demographic dividends. 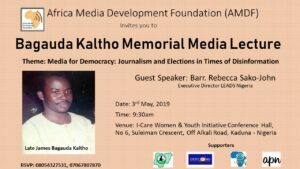 However, it is noted that there must be conscious and deliberate efforts to advance the understanding of demographic discourse among media practitioners and equip them with needed information and skills to actively report on issues around it. “Rising population is a global economic and political issue, with Africa as the fastest growing population in the world, growing from 289 million in 1961 to 1 billion in recent years. This represents 350 per cent increase in 50 years. 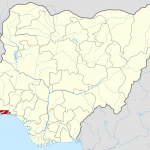 “With about 3 per cent annual population growth rate, Nigeria is the fasted growing population in the world and projected to be the most populous country in the world by 2050. 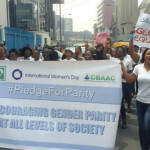 “65 per cent of the over 190 million Nigeria’s population are dependents, with millions of out of school children, and huge unemployed youth and that rapid population growth increase dependency ratio. “Nigeria’s population is higher than available resources; job supply higher than demand, which leads to wide spread poverty, low quantity and quality of food supply. “Low quantity and quality of food production leads to inadequate nutrition, responsible for retarded brain development among younger generation, thus leading to low productivity and slow industrialization. “Inability of to equip, manage and utilize available material and human resources remain a challenge, and unmanaged population growth leads to political and social conflicts among different ethnic, religious and social groups. “There is poor reportage on demographic issues because most media organisations and journalists do not have relevant in-depth knowledge on demography, challenges and prospects”.